What situations do not happen during winter fishing. Time and again there were times when the fishermen fell into the icy water and died. It is especially dangerous to fish in the sea bays, large rivers, where the ice can be very thin. 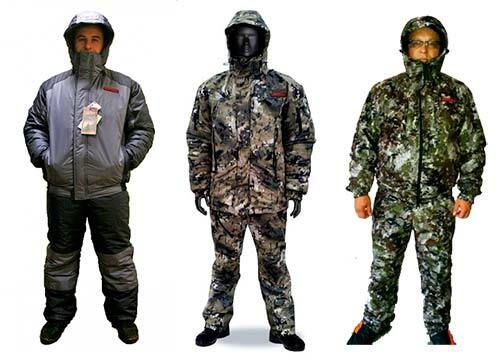 In such situations, will save the suit-float for winter fishing Russian production. The uniqueness of such ammunition to its high thermal insulation properties, in that it does not get wet while in the water. Waterproof fabric, which is made from the clothes of a fisherman, has excellent hygroscopicity. With Velcro, rubber bands product will not allow water to get inside. To operate the costume for a long time. Light weight contribute to a comfortable stay on the ice. If people will fall through the ice, the costume is on it will not allow you to drown, fisherman will turn face up. No wonder the suit is called float, for some time he keeps on the surface of the pond owner, but it should not continue. Domestic manufacturer happy best Raftlayer suits-floats. Outside they are covered with a special fabric is soft to the touch. But the material offers high standards in the field of water resistance, vapor permeability. The advantage of products of this kind in their buoyancy. Thanks to the synthetic material of the izolon hit the water the fisherman is popped like a cork. Suit man takes the horizontal position, does not sink. As izolon distributed over the entire surface of the jacket and pants, so they are worn for a long time. Jacket ammunition is material from a mixture of natural wool and synthetic fibers. Therefore, the suit is heat and in the frost of forty to sixty below zero. 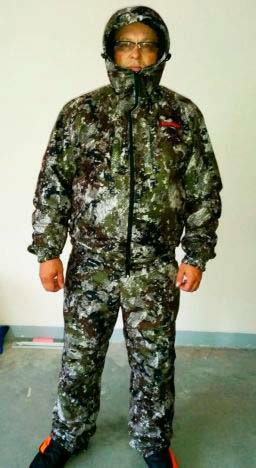 In the suit-float “Ugra” from the Russian manufacturer Raftlayer everyone feels comfortable, no stiffness in his movements. Model “Ugra” is made from Alova material with a membrane coating. Features of the winter model – a straight jacket to the line of hips and high bib to the chest level. A distinctive feature of this model are pockets with waterproof zippers and reinforcing the material in places of the greatest “load”. Weight: 3 kg (depending on size). 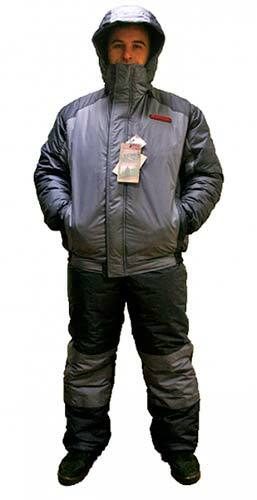 A suit-float “Polar” is made from mantle tissue teslan with membrane coating. It is well repels liquids from the surface does not freeze in the cold. The test products was successfully held in Yakutia and Kazakhstan. Outfit perfect for fishing in all conditions of different extremity. It will protect from the wind thanks to a hood with a visor. In addition to the comfortable and roomy pockets there are internal cuffs, tightening arms, legs, not allowing the water to seep into the suit. In such equipment can withstand temperatures up to sixty degrees below zero. A suit-float “Patriot” has all the advantages of the products from the company Raftlayer. Pleased with the small cost of winter gear. The jacket and the hat can stay on the water a person a lot of body mass from one to two hours. In addition, while in costume, people will not feel it hit the water, the edge of the ice. The material from which made the kit, it has a soothing property. The coloring is exactly like a suit “Ugra”. It should not be crisp, to become solid in the cold. Better to the top on the jacket and pants were membrane fabric. It has many positive qualities. Pay attention when choosing a suit for walking, running. Additional convenience is the presence of pockets, hood with visor. Check the tightness of the stitches, buckles. The equipment is important for winter fishing should be the property of fabric insulation to breathe. After all, the suit should not be too hot. Otherwise the fisherman will sweat, it will become difficult to move, he gets tired quickly.